I have a standard se84ufo on order. 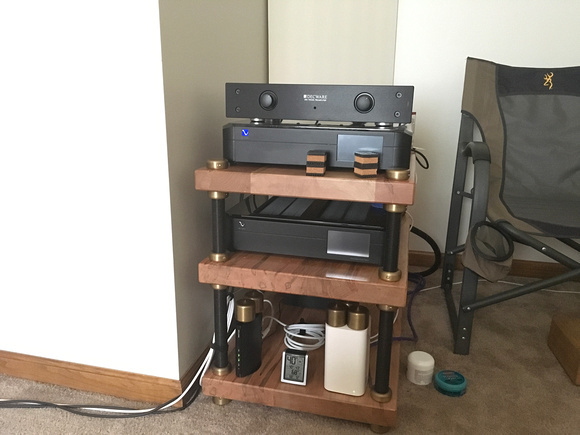 I have two sources, both balanced: Ayre cx7eMP, and an Aqvox phono 2Ci for my turntable , both currently running balanced to an Ayre ax7e. The Decware amp will (hopefully) replace the Ayre. I can run both sources single ended but they are designed for balanced and sound better that way. So, the zbit would allow me to continue to run these two sources balanced, into the se84ufo.....? Should I change my order to the balanced version of the se84ufo? Or get a ZTPRE? Or stay with the amp I have on order, and add a zbit? The easiest option is to keep current order and try single ended inputs on SE84UFO. You may like it as is. No muss, no fuss. If you like the SE84UFO when you get it and have the $$, I would get the ZTPRE and ZBIT. This is what I have. A ZBIT is set up for a single XLR input, so you would not be able to run both sources into the ZBIT and out to the amp. A ZTPRE and a ZBIT is the expensive option that would most comfortably suit your needs. . . It would be expensive but it is an excellent sounding combo with lots of flexibility for volume and "gain riding." Or you could save some money and buy TWO ZBITs and use one for each source and send the single-ended output into each of the two inputs on the amp. Juan replied in the meantime and he has reminded me of the balanced input option on the amp. . . one other alternative is to get that installed and then use a ZBIT as well for the second source. Options. . . none of them CHEAP. . .but options. You might want to ask Steve what combination he thinks best. When I questioned him on putting XLR inputs on my ZMA (as a retrofit) he recommended a ZBIT instead (all theoretical for me since I don't have the need at this point). Thanks for the replies! I will talk to Steve. Will also wait for the amp to arrive (probably late December) and try single ended, although both of these sources are optimized for balanced. Having only one zbit would mean having to swap out sources but I mostly listen to vinyl, maybe not a huge inconvenience. I am also interested in the ZBIT. Aside from the variable output control (and likely the wideband transformers), is there a difference in operation between the Zbit and boxes such as the Radial Twin Iso, or the RadioLabs TX-AFC1M, both of which should convert the signal 1:1? They seem very similar products; of course one seems to have additional output formats and one seems to be one channel only with no adjustable output attenuation. The Decware MAY have a higher quality Jensen transformer and quite PROBABLY has a better potentiometer (stock, and of course there's the stepped attenuator option) and quite possibly has a better grounding scheme. And I would wager the ZBIT has better RCA and XLR connectors. And the ZBIT can be made with dual attenuators, an option I find quite handy for room and channel balance. And comes with the Decware lifetime warranty. Hey Buster, I'm looking at putting the ZTPRE on top of a DSD as pictured and looking at different footer/isolators. 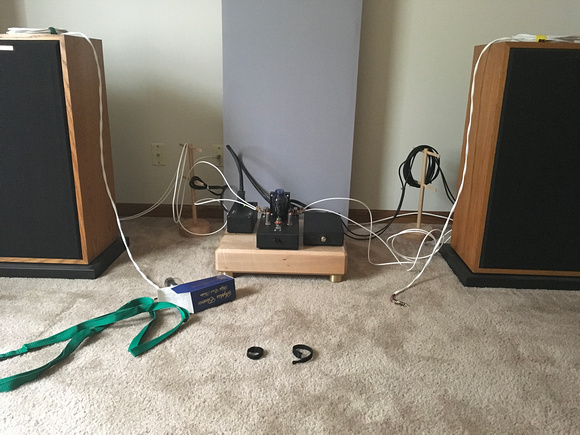 Are those the IsoAcoustics in the picture? Did they do the job? One of my constraints is they can't be more 1.5" tall.